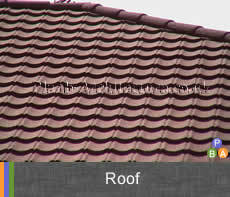 Under some circumstances you might need to re-roof your house or to insert roof lights or skylights. Please call Plan B Architecture today on 0208 4072472 to find out how we can help you with your planning needs for the roof. You do not normally need to apply for planning permission to re-roof your house or to insert roof lights or skylights. • Any alteration to project no more than 150 millimetres from the existing roof plane. • No alteration to be higher than the highest part of the roof. • Side facing windows to be obscure-glazed; any opening to be 1.7m above the floor. • The permitted development regime for solar panels has different limits on projections and in relation to protected areas. If your property is in a conservation area Planning Permission may be required prior to beginning any works. Please read the above guidelines regarding works on roof. You must check with your local authority if you intend to do any work related to roofs. It is absolutely necessary to obtain the required conservation area consent prior to beginning any works. Going ahead without this may result in a fine or imprisonment, or both. If you live in a flat and plan to do works on the roof you must check with your local authority. If your flat is a listed building it is likely you will need listed building consent and you should contact your local planning authority for advice before you start work. Please note that works to a listed building that affect its special historic character without consent is a criminal offence. At Plan B Architecture we would be glad to assist you with any query you may have regarding works related to roofs. Should you need planning permission, we would be glad to assist you with all elements of your application. If you would require drawing only, we can provide you with detailed existing and proposed drawings for all types of works related to roofs. Call Plan B Architecture Today On0208 4072472 To Find Out How We Can Help You With Works Related To Roofs.